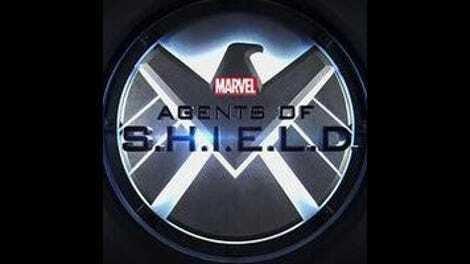 Everyone confronts secrets on a twisty and tense Agents Of S.H.I.E.L.D. Well, now we know where everyone stands. Treachery, thy name is Radcliffe. Last week I talked about how sympathetic Radcliffe was as a character—how he genuinely wants the best for everyone, wants to protect life, and genuinely cares about Fitz. Now we know that may have simply been a function of his programming. It’s entirely likely the real Radcliffe thinks he’s doing all this for the greater good, and actually does like Fitz and the rest of them. But they’ll always come second to his megalomaniacal need for control. Control over life itself is his eventual goal, which is why the Darkhold remains his primary mission, but in the meantime he’s more than ready to sacrifice even friends in the name of his work. With his need to maintain his friendships and concern for the whole team, LMD Radcliffe is actually the best and most human version of Radcliffe. Ironic, no? “Wake Up” is another far too literal episode of Agents Of S.H.I.E.L.D., busily turning any possible subtext into text, but it’s so much damn fun, and so many secrets are revealed, that the sometimes ham-fisted dialogue can be overlooked, a case of function over form for the normally subtler writer Drew Z. Greenberg. Everything that happened in this episode would be more than enough to set up the rest of the “LMD” narrative arc. May is stuck in a mental loop but slowly gaining on it! Senator Nadeer busts Yo-Yo and Coulson, confirming there’s a leak in S.H.I.E.L.D.’s top ranks! Radcliffe has been working with Nadeer since Aida failed to secure the Darkhold! Radcliffe is a damn LMD! That’s a hell of a lot of ground to cover, but the show is taking it a step further. Nadeer insists it’s time for Radcliffe to meet “the Superior.” It’s unclear who that is, but it means there’s an even deeper level to this intrigue. Whoever’s pulling the strings between Nadeer and the Watchdogs has a lot of power, and Radcliffe’s value—the man who just might be able to deliver eternal life—means S.H.I.E.L.D.’s protection of the Darkhold will only bring even greater attacks down on its head. The threat of Senator Nadeer works best in “Wake up” when it serves to goose the combative relations between the various members of S.H.I.E.L.D. and Talbot. After Yo-Yo and Coulson have a talk about Mack’s secretive ways and Coulson’s obvious feelings for May (he’s barely even putting up a fight anymore), their capture makes for a great exchange between Talbot and Coulson. After I took some time in my discussion of “The Patriot” to call for a return to that particular comedy duo, watching Phil refer to the General and himself as “like The Odd Couple” felt satisfying. But even better was their heated confrontation after Nadeer busted the agents in her office, and Coulson knew there was a leak. His accusation of Talbot as the guilty party is understandable, but Talbot’s prideful, wounded reply—“I believed in you when no one else did, Phil”—was more cutting. Talbot was right, after all: There was a leak, Coulson and Yo-Yo were caught, and it led to a public relations fiasco for S.H.I.E.L.D. The only good to come out of Nadeer’s ambush of the team was the heart-to-heart between Daisy and Mace right before her very public dressing down. A few of these lines were far too on the nose, but it was good to see Mace demonstrate why he’s not such a bad candidate for a leadership position, after all. “I know how it feels to be putting on an act full-time,” he says, showing remarkable insight into Daisy’s identity and revealing his own insecurities at the same time. Mace won’t be leading the missions any more, so he’s looking for ways to demonstrate his value. Getting S.H.I.E.L.D.’s most fragile and fragmented agent to open up a little, and feel a new bond of kinship, is a good start. But enough emotional openness—there’s a nearly episode-long deception to discuss. The lengthy trolling of both agent May and the audience via “the framework,” the coding that has tricked the sedated and semi-comatose May into believing she’s escaping from Radcliffe’s clutches, was effective, albeit a bit too tidy. When it first began, with May playing possum until Aida left the room and she could begin cutting herself free, I thought Melinda’s ability to pull off that kind of subterfuge was either awfully impressive or stupidly convenient. With the reveal she was stuck in a mental loop, playing out the same prison break scenario over and over, the two interpretations blended together into “impressively convenient.” Everyone watching probably put it together at different moments (for me it was the cut to May still racing up the stairs that triggered the “a-ha” realization of what was really happening), but it was a sharply conceived and executed ruse, especially given May’s concluding satisfaction in understanding she was slowly outsmarting the program. Take that, Aida. But in many ways, Fitz’s understated deception was the most potent and transformative, as his secret study of Aida led him to the discovery Radcliffe had programmed her to retrieve the Darkhold, not some magical onset of sentience inspired by reading the book. Jemma is her usual suoportive self, giving him a wide berth on his Aida fascination, but when she finally blows up at him, mistakenly suspecting Aida had hacked the base, Fitz comes clean, admitting his investigation, and directing Coulson to bring in Radcliffe. Not only that, he puts together the little clues about the second LMD, and once fake Radcliffe utters the transparent words that give him away (“My only goal is to preserve life. It’s my first priority”), Fitz grabs a gun and pulls the trigger, hitting LMD Radcliffe in the head and exposing the creation for what it is. Radcliffe has set up contingency upon contingency. LMD May’s confrontation with her maker confirmed this. He’s even made certain to line up the programming with what each real person really wants. For May, it’s not just Coulson; it’s that defining encounter so many years ago in Bahrain, where she became the cavalry. Only now, it’s a mental loop where everything turns out differently. The girl really is an innocent, this time around. Radcliffe has programmed both the LMD and real May’s experiences to reflect their desires. It’s why LMD May can’t tell Coulson what’s really happening— “I programmed you so you wouldn’t want to,” Radcliffe informs her—and her heartbreak at the realization is just as real as her feelings for the director. The question of where coding ends and her memories and “true self” begin are just a more literal manifestation of what all the characters are doing. Everyone on the team does things they don’t want to at times, whether from a sense of duty, or wanting to protect someone, or just a need to protect themselves, like Daisy. But Radcliffe exploited that—and now the Superior, whoever they are, has access to that exploit, too. Mack and Yo-Yo finally took things to the next level. Good for them, though it’s a bit odd we haven’t known about Mack’s past until now, either. 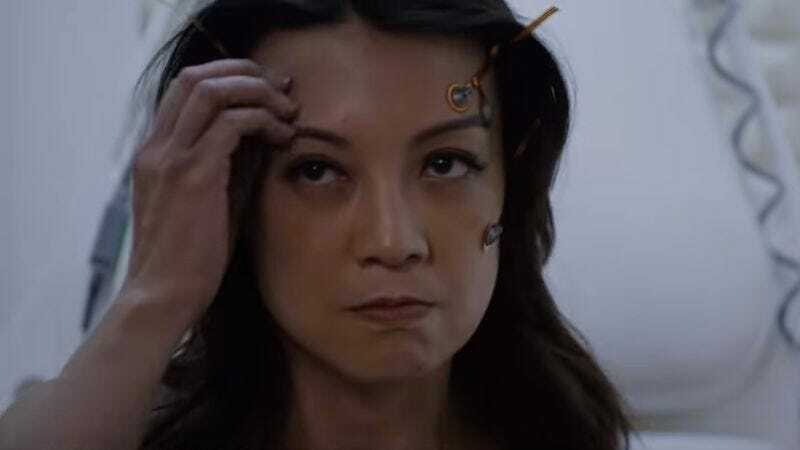 The sharpest moment may actually have been Senator Nadeer’s clever maneuvering of Daisy into a double bind: Either she was illegally using her powers without having signed the Sokovia Accords, or S.H.I.E.L.D. knowingly disobeyed its UN-approval mandate and is acting without permission. Damned if you do, damned if you don’t send shockwaves through bad guys. Now taking bets on whether we’ve met the Superior before. If anyone calls it on Twitter this week prior to it being revealed, I’ll be duly impressed.